So I’m starting this blog with two contradictory statements. Conventional wisdom is that practice makes perfect but when I saw the above quote I began to rethink my perception of practice and I’ve changed my way of thinking. Truth is, practice only makes perfect if you’re doing it right. How do you know you’re doing it right? Someone who knows what right looks like has to tell you. At GVMH we have a validation process that helps all of us practice the right way so that we can become proficient and perfect. AIDET is an important patient communication tool and we have an expectation that staff utilize AIDET when communicating with patients. AIDET stands for Acknowledge, Introduce, Duration, Explanation and Thank You. AIDET has been proven to decrease patient anxiety and increase patient compliance. AIDET is a skill and it takes practice to master it. We have implemented a validation process in our outpatient settings to help staff understand what right looks like and helps to ensure staff are practicing the right way. AIDET validation occurs quarterly. Every other quarter Department Directors validate that staff are performing AIDET correctly. Staff are provided feedback on their performance, commended on aspects they do well and provided coaching in areas they can improve. In alternating quarters a team of AIDET champions travel from department to department to validate staff in actual patient care situations. The process is similar to the one performed when Department Directors are involved but there are two important differences. First, the AIDET champions have received special training to provide more focused feedback to help staff fine tune and better master the process. Second, the AIDET champions aren’t from the same department as the staff member so they don’t have baseline knowledge of the process the staff member is explaining to the patient. The AIDET champion is able to provide feedback that helps staff better understand the patient’s perspective. The process has proven to be very valuable and has allowed staff to practice the right way. 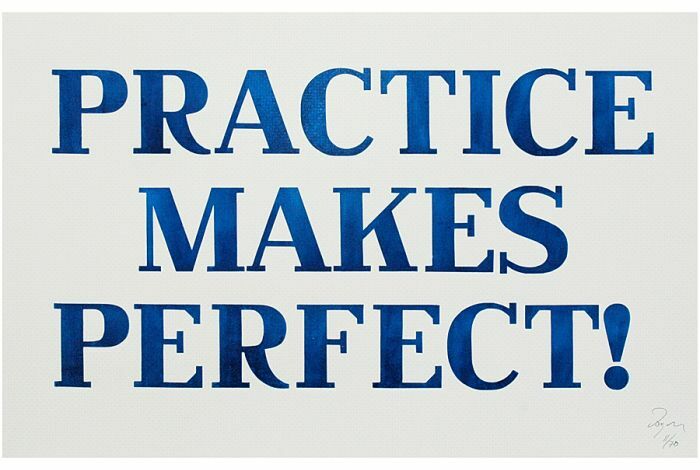 Practice makes perfect but only if you’re practicing the right way. Knowing what right looks like is the first step in practicing the right way and our AIDET validation process helps staff master a very important skill and our patients reap the rewards. This entry was posted in Uncategorized and tagged AIDET. Bookmark the permalink.